Clearly, the downturn has forced many people to prioritise and scale back, but resilient consumers are still spending and going for affordable entertainment options. They are putting off purchases, downgrading their consumption pattern and tweaking their leisure expenditure, such as drinking and travelling. A report by Kushan Mitra & Anusha Subramanian. 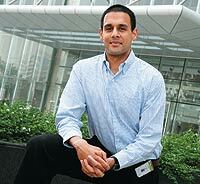 Dhruv Gupta IS 27, married not so long ago and has a nice job. But Black October has taken its toll on his stock portfolio. He has lost 60 per cent of his investment over the past few weeks, but he is still pragmatic about it. “Easy come, easy go,” he laughs. However, while his outlook on life remains rosy, Gupta has reined-in his expenses. “I love photography and recently bought a Canon Digital SLR camera. I was thinking of buying myself an additional lens, but have put that off.” Not just that, Gupta and his wife have decided to cut back spending on a variety of things. “We love travelling and will still take our breaks, but I don’t think we will stay at a fancy resort. I know that my portfolio should climb again, but recent events have reduced my appetite for risk.” While his appetite for risk might have gone down, Gupta, who works in the online division of a media company, still has a healthy appetite for life. Or take the case of Aditya Bhadauria, 29, a self-employed individual, who is travelling with his wife and daughter to visit his brother-in-law in the US. “Who has not lost money in this market?” he asks. “Therefore, we have to take things easy. We will fly economy while travelling abroad. Six months ago when my portfolio was healthier, we would have probably flown in the front of the plane,” he says. Clearly, the downturn has forced Gupta and Bhadauria to prioritise and scale back, but resilient consumers like them are still spending. Arvind Singhal, Managing Partner, Technopak, a consultancy firm that among other things tracks consumer behaviour, sees a rationale in this. “The current working generation of 25-35 year olds has seen difficult times before 1991 and this generation still maintains strong ties with their parents, who have seen even tougher times. Therefore, the fiscal conservativeness is not a knee-jerk, unplanned reaction, it comes naturally," he says. Hence, people are putting off purchases, downgrading their consumption pattern and tweaking their leisure expenditure such as drinking and travelling. "People are surely travelling less often, the numbers say so," says Sam Sridharan, CCO, SpiceJet, "but we expect more and more people to come to low-cost carriers like us. Companies, in their bid to cut their costs, will use low-fare airlines more." The latest passenger numbers though are far less positive, showing not just a decline in growth, but numbers actually come down from a year ago. Patu Keswani, CEO, Lemon Tree Hotels, says that things will slow down considerably over the next few months. "Leisure travellers will start amending their plans. What will happen increasingly is that people will adjust their spend, either by travelling to someplace cheaper, say going to Corbett National Park in Uttarakhand instead of Kerala from Delhi, and staying at a more reasonable place rather than a fivestar option," he says. While the prognosis for watering holes may not be great, it reflects a change in consumption pattern. Raju Vaziraney, CEO, Radico-Diageo, one of the larger distributors of imported liquor in India, believes that consumption in hotels and bars will decline sharply. Says Vaziraney, "I feel more consumption will happen at home now rather than bars as people will want to save money. Drinking out is still incredibly expensive in India, and with discretionary spends going down, this segment will suffer. We are noticing a considerable downgrading in brands, people preferring cheaper premium brands instead of more expensive super-premium ones. But I believe that people will spend." One of these spenders is E. Narayanan, 37, who works as the Head of Product Development with a Mumbai-based software firm. He saw his stock portfolio value reducing by approximately 40 per cent in the current market meltdown. "This is the third stock market crash that I am going through," he says. Narayanan entered the market when the Sensex was around 15,000 points and began its heady climb to 20,000. He started exiting when it fell to 14,000. "I am quite seasoned at handling these situations and have not put all my money in stocks," he adds. 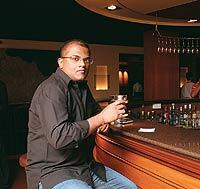 Narayanan stills visits his regular watering hole in central suburbs of Mumbai. He plans to spend the New Year in Copacabana in Brazil and also visit Argentina. "I do not think there is going be a change in this plan," he says. Leisure has historically proven to be downturn-proof. Little surprise then, the industry is still showing some exuberance in India. Technopak's Singhal has a fairly positive outlook, "I believe the job creation market will have some challenges and that will create some social tension, but most of the 200-million-odd salaried workers in India do not need to worry." Some like Narayanan seem to be already taking the cue.